To turn your small bedroom into a dreamy retreat, use these sophisticated small bedroom ideas and decorating techniques and clever storage. There are two ways to treat a small bedroom: You can make it dark and cozy with saturated berry reds or chocolate browns. Or, you can boost daylight with barely dressed windows and a light-bouncing color on the wall, such as cloud white or sunshine yellow. Either way, don’t take a weak approach. You can be bold in a small space without risking too much money or effort. Here’s a small bedroom idea with staying power: Hang window treatments closer to the ceiling to make a room feel taller. 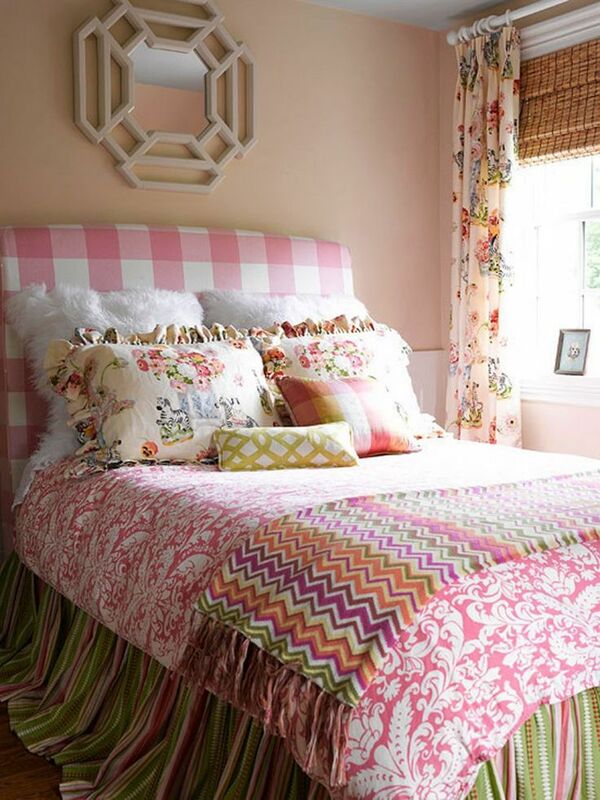 Another small bedroom idea? Use light, crisp colors to combat lower ceilings. Be smart about storage when decorating a bedroom. Employ a nightstand with drawers and shelves and install a floating shelf above for extra storage in a small bedroom. Our best advice on how to decorate a bedroom? Add one piece of drama. 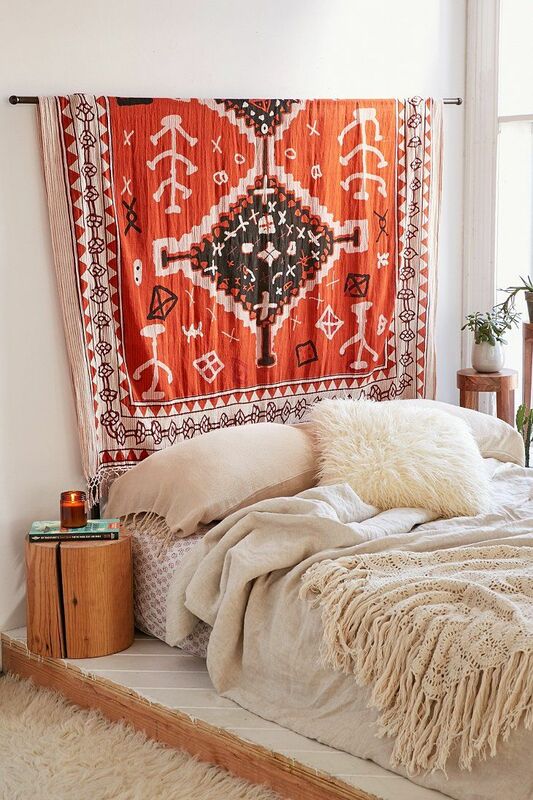 In this small bedroom, a suzani patterned tapestry serves as an eye-catching headboard. In a small bedroom, you may need to defy convention when it comes to furniture layouts. In this room, the bed slightly overlaps the two windows, but the placement provides ample walkways. Discover also: White, Grey and Copper Master Bedroom – Get inspired!